Images contain clickable links to product page. Black Hawk Down is a 2001 American war film directed by Ridley Scott. 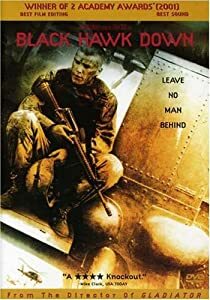 It is an adaptation of the 1999 book of the same name by Mark Bowden, which chronicles the events of the Battle of Mogadishu, a raid integral to the United States' effort to capture Somali warlord Mohamed Farrah Aidid.